Are you searching for a bra that looks amazing and has the flexibility to fit with your changing shape? If so, how about the Lorna Drew Alexa Animal nursing bra? Not sure on your cup size? Well, this bra has an innovative clip that allows each cup size to go either up a cup, or down a cup. For example, if you pick a 34D, the clip allows you to change it to either a 34C, or up to a 34DD. Of course, you can also leave it at a 34D. This means that as your milk comes in, and as your body changes, you should be able to fit that this bra fits you really well. We think you will love how luxurious and pretty this bra feels. For example, it comes in a lovely soft, silky stretch satin and it has a contrast satin trim. It also has a satin bow in the centre. 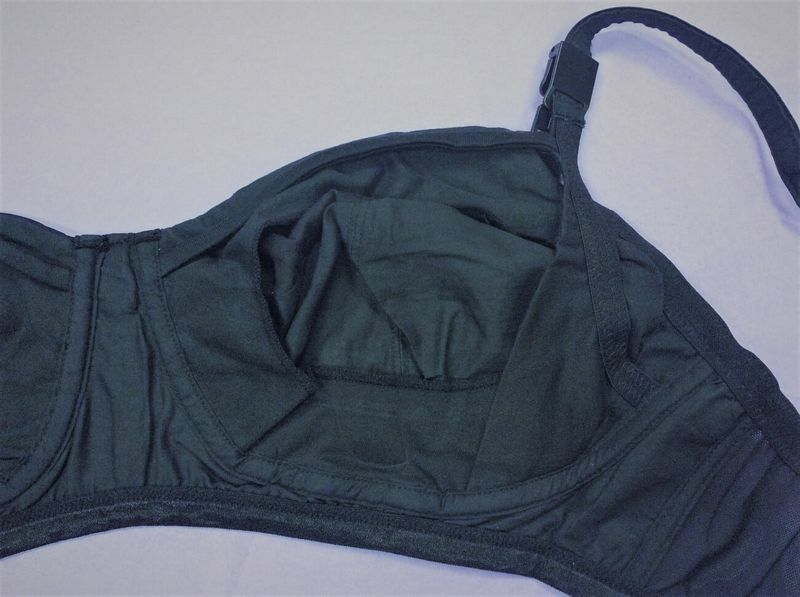 So how comfortable is this nursing bra? Well, it is lined in 100% pure cotton. It also has graded bra strapsas the sizes go up for your comfort. To help you further to get a good fit, it has extended hook and eye to allow for growth around your body. Breastfeeding advisors tend to suggest that, if possible, you avoid underwires during your nursing month. So you may be pleased to know that this bra is wirefree. It has a balconette bra shape. So why do we think you may like the Lorna Drew Alexa Animal nursing bra? We think you may love the fact that you can alter the cup size on each cup (up or down one cup size from the cup size you choose). We think you should also love how luxurious this bra looks and feels. We tend to find that this bra comes up a little small in the cup size. For example, if you are thinking of choosing a 34g, we suggest you choose instead a 34gg. Or, if you are picking a 36e, we would suggest that you buy a 36f.